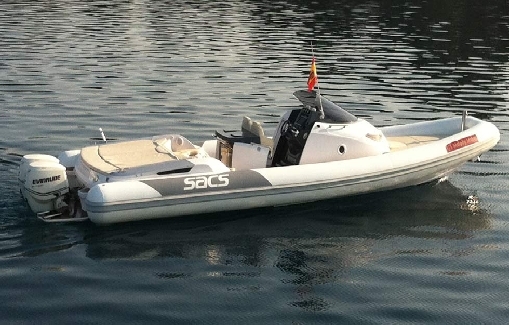 This great family RIB is not too big nor too small and ready to blast as it is in great handling condition. 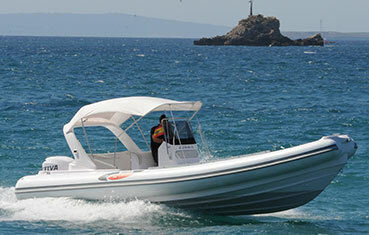 Great safe family fun with seating for up to 8 people and loads of storage. 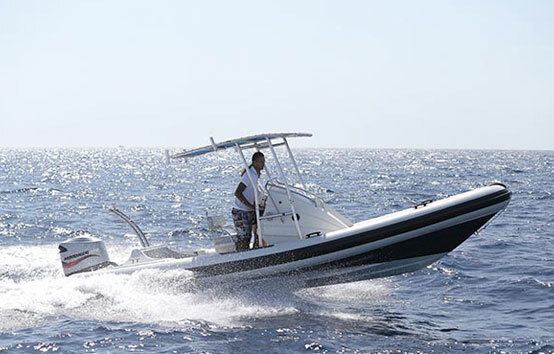 *Price includes VAT 21% (IVA), towels and drinks. 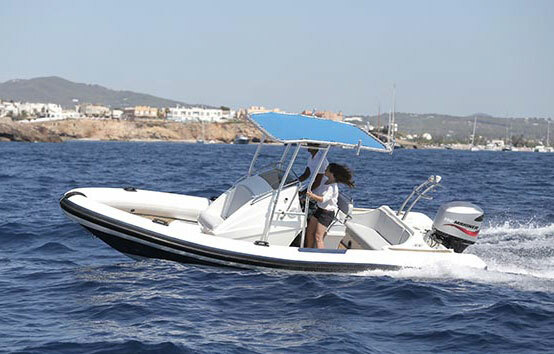 Fuel is then charged extra at 50L per motoring hour. 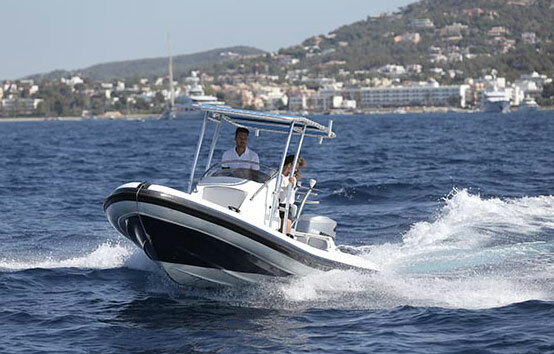 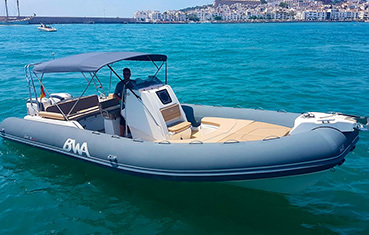 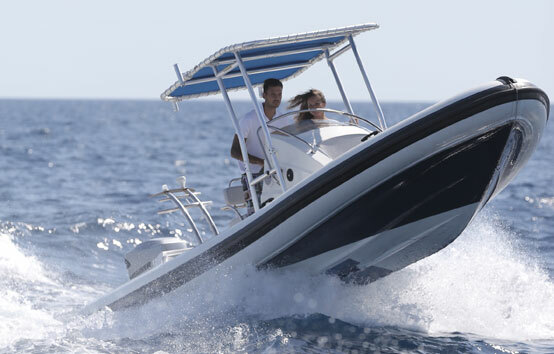 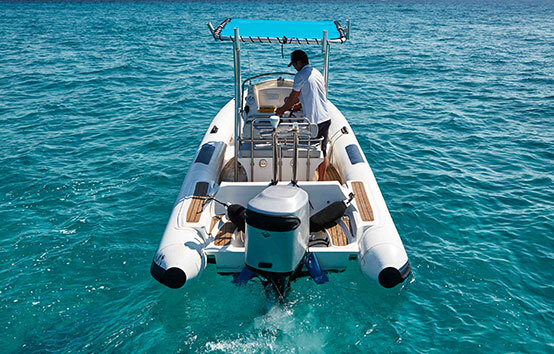 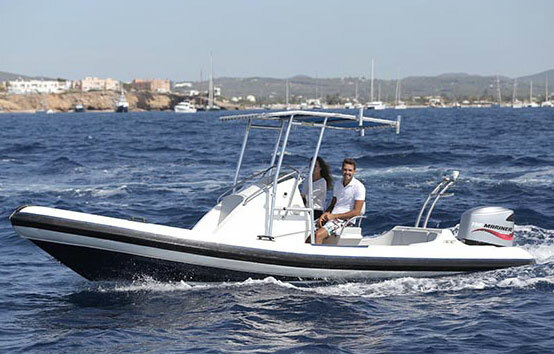 The Patriot RIB can be rented without skipper, so the price doesn’t include skipper, which is 150€/day.